As time has passed, the standards for wireless networking have dramatically improved. Starting with the 802.11 wireless standard back in 1997, IEEE have constantly upgraded the standard, until finally today they have developed the unique 802.11n standard. Not many wireless adapters are fitted with 802.11n, but the Edimax EW-7728In PCI Wi-Fi card is one that does. You will find on your search for wireless adapters that most of them come with 802.11g standard or 802.11b standard. Both of these can be reliable and provide fantastic coverage, but there is no greater standard than the upgraded 802.11n. The Edimax-7728In wireless adapter has 2.4GHz which offers maximum coverage. It also supports advanced 2T3R MIMO technology and it has a data rate of an amazing 300Mbps. This is approximately 6 times more than an average wireless adapter. It also supports 64/128-bit WEP encryption, which helps to keep the connection as secure as possible. As well as WEP encryption, the card also supports Wi-Fi protected setup configuration function. Using 2.4GHz, the EW-7728In wireless adapter provides up to 3 times more coverage than both 802.11g and 802.11b wireless adapters. This makes it ideal for large homes and large businesses. There is also a worry when large coverage is needed as many network signals have a high risk of interference; especially standards such as the 802.11b which has unregulated frequency. 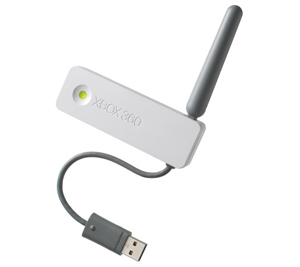 The EW-7728In wireless adapter uses 802.11n standard which provides a stable connection that will never be interrupted. One unique feature of the card is that it enables multi-language Ezmax setup. There are 16 different languages that you can choose from. The installation wizard takes you through the process of configuring the language of your choice both quickly and easily. If you would like to increase the coverage provided by the card then you can always use the detachable antennas that have been created. It is recommened that you use the EA-MARS with one of three detachable antennas to icnrease the overall coverage. As the Edimax EW-7728In wireless adapter is so advanced, you may be worried about just how easy it will be to install into your computer. The good news is that even somebody who has no prior knowledge of installing network cards can easily fit this into their desktop PC. You will find that most desktop computers have a 32-bit PCI interface, which is basically a really common expansion slot provided inside your desktop PC. The card should easily just slot into place and then you use the installation CD to guide you through the rest of the installation process. Overall there is no question that the Edimax EW-7728In wireless adapter is one of the most advanced adapters currently on the market. If you can afford it, it would definitely be worthwhile investing in this wireless card. With super fast connection speeds and maximum coverage, you really couldn’t ask for a better wireless adapter. You will just have to be prepared to pay a little extra for this revolutionary 802.11n standard card. When it comes to wireless adapters, Netgear is often the best company to turn to. Known for their extremely reliable and easy to install wireless adapters, Netgear have an adapter to suit all needs. Whether you are looking for a wireless adapter for business or for home use, there will always be a Netgear solution. One particular wireless adapter which you may be interested in is the Netgear RangeMax WPN511 Wireless PC Card. Designed to be mainly used with the WPN824 RangeMax wireless router; it is the ideal adapter for your laptop computer. It is only compatible with laptop computers which have a PCI card slot however, so always make sure that you have one before you purchase any PCI adapter. Every wireless adapter has its own unique benefits and the WPN511 is certianly no different. It boasts fantastic wireless connectivity and it also has a super range capability too. Many wireless users have experienced the frustration of signal interference because of other wireless appliances. It could be that a colleague or a member of your family is on a cordless phone and they walk around, interfering with the connection. The RangeMax WPN511 wireless PC card is designed to have no interference from any outside sources. So no matter where you are in the home or office, you should always receive an excellent quality signal. It is always recommended to use the WPN824 wireless router in combination with the WPN511 PC card as that helps to deliver up to 10 times faster broadband speeds than an average 802.11g standard network. It can also provide coverage of up to 500,000 square feet. What really makes the Netgear WPN511 PC card different is its RangeMax feature. It has Smart MIMO technology that has 7 internal antennas. The router that works in conjunction with the card is constantly surveying the home in order to adapt to any potential barriers that could cause an inteference. It will adjust its settings to overcome any potential problems and that is what really makes it one of the most intelligent and reliable wireless networks available. As well as being intelligent and reliable, the WPN511 wireless adapter is also extremely simple to install. As with all Netgear adapters, it comes with a Smart Wizard Install Assistant which eases you through the installation process. It is just a matter of plugging in the card and following the instructions that show up on screen. It really couldn’t be simpler. Overall the Netgear RangeMax WPN511 Wireless PC Card is definitely one of the top rated wireless adapters currently on the market. It has everything that you could possibly need for a reliable and safe connection. Whether you need it for home or business use, it is perfect for any laptop that has a free PCI slot and it works best in connection with the WPN824 wireless firewall router. So if you are looking for a new wireless adapter, this one would certianly be worth a look! The Netgear WG311T 108 Wireless PCI adapter is designed for both business and home use. It can only be used in desktop computers. So if you are looking for a notebook wireless adapter then this isn’t the right one for you. The Netgear WG311T 108 wireless PCI adapter is designed to be super fast. That makes it ideal for those who want to download music and videos as well as share large files with others. It has the major advantage of being up to 10 times faster than 802.11b standard wireless adapters and it does not need to be wired up; which makes moving the desktop PC easy if you need to. If you are worried about security then you will be pleased to know that the WG311T wireless adapter gives you the choice of encryption. This helps to protect your wirelesss connection from hackers and from other potential intruders. It has both WPA and WEP wireless encryption standards. As well as having excellent security, the adapter also lets you easily install the card into your PC. Some PCI wireless adapters can be difficult to understand and they often require previous installation knowledge too. The Netgear WG311T wireless adapter does not require any additional knowledge as it comes complete with a Smart Wizard Install Assistant. A clever feature of the adapter is that it finds the best strength connection and then it adjusts its own settings to match that connection. So you will always receive the fastest and most reliable wireless connection possible. The reason why the WG311T wireless adapter gives you a speedy connection is thanks to its Super G wireless connectivity. Super G wireless connectivity is part of the 802.11g standard. It gives you installed continuous broadband through a wireless router. This eliminates the need for ethernet cabling. If you are going to be using the adapter for business use then you will also be pleased to know that you can easily include new users onto the network. The WG311T wireless adaptor can be plugged into any desktop PC with a free PCI slot, to connect to the company network. Again the desktop PC’s can be moved anywhere within the network range as they are not wired. To achieve the fastest speeds possible it is recommended that you use it with the WGT624 108Mbps Wireless Firewall Router. That is the best way to achieve up to 10 times faster speeds. As it uses 802.11g standard, it is also compatible with 802.11b standard equipment. So even if you only have an 802.11b access point, you can still use the Netgear WG311T wireless adapter. Overall the Netgear WG311T wireless network adapter is definitely one of the fastest and most reliable wireless adapaters available on the market. It enables you to set your own security options and protect your network from intruders. It is slightly more expensive than other wireless adapters but its speed and reliability certainly make up for that. One of the most popular wireless adapters available today tends to be the Belkin G+ Wireless USB adapter. Supporting up to 125Mbps, it is not difficult to see why many people choose this adapter over any other currently on the market. However, is it really worth purchasing or is speed its only advantage? The main reasons why the Belkin G+ wireless adapter is so popular includes the fact that it is affordable as well as being easy to install. You can pick one up for less than £10 if you shop around. However, is the low cost worthwhile? That is what you need to know! One of the main concerns which some users have experienced is the software. It is incredibly easy to install but there is a feeling that it is not as professional as it could be. Saying that, the main thing is installation and most people who have used the device have stated how easy it was to set up and get the wireless adapter running. The only thing you have to remember is to install the software before you plug the USB adapter into the computer. You will mainly find this wireless adapter useful if you use the internet to download videos and photos. Many wireless adapters can have slow speeds, but the 125Mbps that this adapter supports enables fast connection speeds that are more than capable of handling photo sharing and video streaming. It is also ideal for both home and office use. As it uses a frequency of 2.5GHz, iots coverage is quite good. Many businesses opt for the 802.11a standard as it has a 5GHz capability. However what they don’t realise is that 5GHz actually shortens the coverage and it is easily obstructed by objects and walls. So if you are planning on using the adapter quite far away from your router, the Belkin G+ adapter is definitely a good choice. The adapter works better with Windows XP. It does not tend to be compatible with Windows Vista. This is obviously soemthing that you need to be aware of as if you purchase it and you do have Windows Vista, it will not work. As with all USB wireless adapters, this one is ideal for beginners to wireless networking. It requires no installation knowledge and it also doesn’t need you to open up your desktop PC to install it. Some users have installed the Belkin G+ into laptops that only have a 1.1 USB port available and it has worked fine. However, it is always advisable to install the USB wireless adapter into a 2.0 port. That way you are guaranteed a more reliable performance. Overall the Belkin G+ Wireless USB network adapter is definitely one that you should look into. Its fast connectivity and fantastic coverage capabilities make it one of the leading USB wireless adapters on the market. It is simple to install and it is extremely affordable too. Whether you would like to connect your desktop PC or your laptop computer to a wireless network, the Netgear WG111 wireless adapter may be just what you need. Designed to allow up to 54Mbps, the Netgear WG111 adapter comes as part of the 802.11g range. One of the great things about the Netgear WG111 wireless adapter is that it has quite a good range due to its antenna. So, if you are using it within the home the adapter enables you to move the desktop PC or laptop away from the router and you will still get a great signal. It also allows you to use the adapter in the office for roaming capabilities. One thing that you may question is how easy to wireless adapter is to install. As it is a USB 2.0 adapter, you will need to make sure that your computer has a compatible USB port available. If you do then all you have to do is plug in the adapter and then you will be taken through the installation process with a Smart Wizard Install Assistant. If you currently have an 802.11b network then you don’t have to worry. The 802.11g standard is backwards compatible with 802.11b networks so you can use an 802.11g wireless adapter with a 802.11b network with no problems and vice versa. If you travel a lot and you are installing the adapter onto a laptop, the great news is that the WG111 allows you to set up various profiles. You can set up different LAN profiles using Netgear’s LAN manager; each with their own settings reflecting the network they will be using in each area. This is particularly useful for people who have to travel around on business. Due to the size of the Netgear WG111 wireless adapter, it is easy to carry around with you no matyter where you go. When you purchase the Netgear WG111 wireless network adapter, you will receive a USB adapter, a 5ft USB cable in case you require one, an installation guide along with a CD and a support information card. It takes literally only a few mintues to set the connection up using the Smart Wizard Install Assistant. As it simply plugs into your computer, it eliminates the need to open up your desktop PC and manually install it. Some wireless adapters do require a little installation knowledge but this certianly isn’t one of them. That makes it ideal for those who are complete novices when it comes to network installation. Overall the Netgear WG111 wireless USB adapter is definitely one of the best ones on the market. Using 802.11g standard, you can be sure that you will receive unobstructed, fast signal connection. It is also extremely compact which makes it ideal for those who travel around a lot. So if you are looking for an easy to install, reliable wireless adapter, the Netgear WG111 is definitely for you.